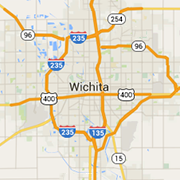 Check out the Wichita area's banks, lenders and financial services for loans, mortgages, credit lines and more. A full service Credit Union with 3 locations to serve you! We make insurance simple so you can feel confident knowing your family, home, cars and other property are protected.